College towns such as Burlington typically boast a sizable population of bands trading in that most fabled of ivy-walled musical traditions — no, not a cappella but funk. Kids love the funk. If one were to put the words “funk band 2nite” on the marquee of any juke joint in town, any night of the week, one could expect a packed house within the time it takes to tweet the news around a dorm. It doesn’t matter who the band is. It doesn’t even matter if they’re any good. To slaughter a phrase, if it’s funky, they will come. It follows that being a modestly successful funk band in Burlington is something akin to selling nitrous at a Phish show. It’s not exactly hard. The annals of Queen City music history are littered with paint-by-numbers college funk bands that consistently drew well. But every now and again, the city produces a band that offers something new amid the sagging hyphen-funk idiom. Born out of jazz giant Ray Vega’s University of Vermont Latin Jazz ensemble, this octet melds a heady, danceable amalgam of influences, from Afro-funk and Latin rhythms to blues, rock and a hint of soul. Their recently released self-titled debut, while exhibiting a few telltale earmarks of a young band struggling to corral such unwieldy ambitions, is bursting with potential. From start to finish, this young ensemble displays a professional polish and, refreshingly, a sonic curiosity that belies its members’ tender years. A torrent of luxurious sound gushes forth from the keyboard of bandleader Tyler Mast. Smartly conceived horn lines soar on top of guitarist Colin Lenox’s searing attacks. Meanwhile, drummer Corey Wilhelm and percussionist Daiki Hirano flesh out each tune with polyrhythmic aplomb as bassist Josh Weinstein holds it all down with solid, if occasionally rudimentary, lines. But what could well set Bearquarium apart is vocalist Justin Panigutti. Simply put, the man is a revelation. The songs in which he takes center stage stand nodding head and shimmying shoulders above the band’s mildly predictable instrumentals. Picture some bizarro, occasionally unintelligible combination of Van Morrison and Joe Cocker, with a pinch of Levon Helm sprinkled in for good measure, and you’re on the right track. Bearquarium could already hold their own alongside more experienced fellow funkdafied B-town(ish) acts such as hip-pop hooligans Strength in Numbers and Afro-whatsit ensemble Rubblebucket Orchestra. Given a little time to get comfy in their own skin, the Bears could be a scene cornerstone for years to come. Want to hear for yourself? 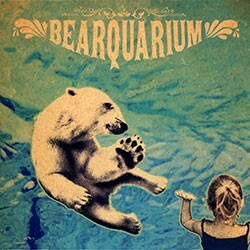 Catch Bearquarium this Friday, September 11, at Red Square.